A Great Way for Cats to Beat the Heat — And So Simple! The dog days of summer are here, and dogs aren’t the only ones looking for relief — cats can get just as uncomfortable. Cats have a hard time cooling off naturally, given that most of them have thick coats and they all produce little sweat. But where there’s a problem, there’s a solution… Enter the ICE BALL! Yes, there’s a simple (and inexpensive) way to keep your pets chilling even as summer temperatures soar. All you need is a balloon, some water and a freezer. You need a balloon and a source of water. Place it in the freezer and wait for it to freeze solid. 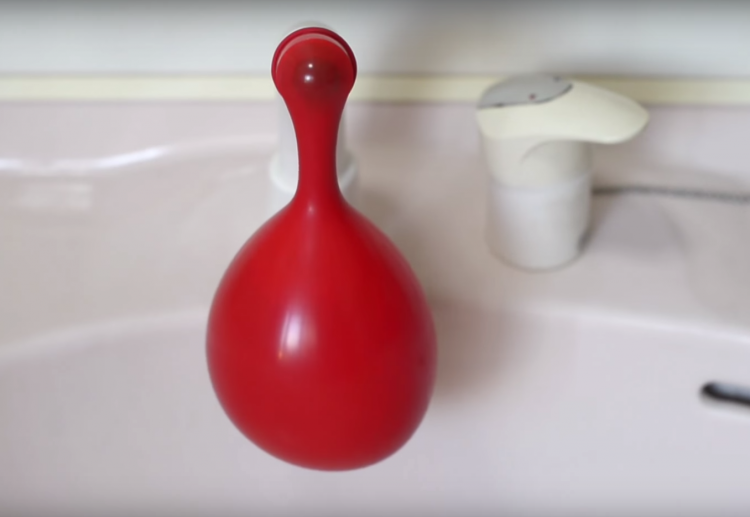 Remove the ball of ice from the balloon and promptly discard the balloon. Place the ball of ice in a deep container to catch the water as the ball slowly melts. And then? 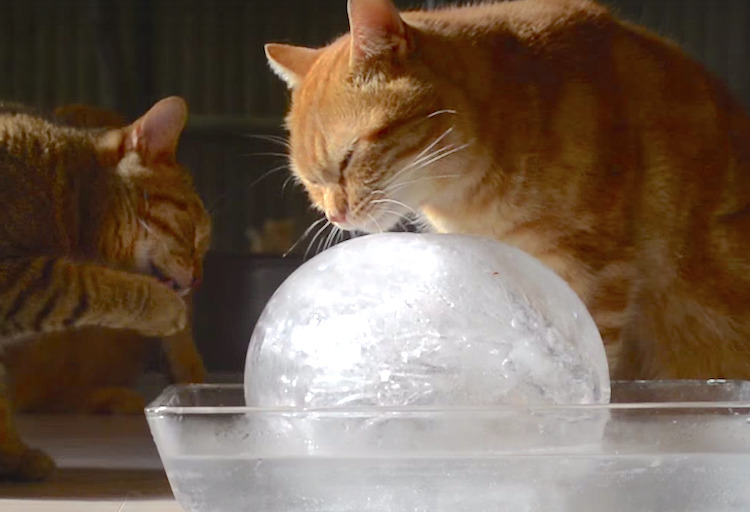 Just sit back and watch as your cat licks the ice and stays cool and hydrated. This “ice ball” thing isn’t half bad.